Everything you know about employee turnover rate is just plain wrong, according to a recent research. The end of a year is a common time when most HR professionals are calculating their annually HR metrics. One of the most commonly used HR metrics is a dreaded employee turnover rate. Are you a bit scared to calculate your employee turnover rate? If you are, this is because everything you know about employee turnover is wrong. Yes, that’s right. According to a recent research conducted by Work Institute, everything we think we knew about employee turnover is just plain wrong. The company has released its 2018 Retention Report, the only known one of its kind, marking its second study of national workplace turnover and retention. Using a scientifically valid methodology and data from over 234,000 exit interviews, this report uncovers the root causes of turnover and debunks common employee turnover myths. Employee turnover is usually mentioned in a negative context. This is because of high costs related to high turnover rates. According to The Society for Human Resource Management (SHRM) research, direct replacement costs can reach as high as 50%-60% of an employee’s annual salary. However, employee turnover isn’t necessarily a negative thing. If the high turnover is the consequence of the fact that poor performers are leaving a company, it can actually be a good thing. It can mean that your company is keeping only A-players, not wasting time and money on poor performers, which is definitely a good thing. You might think that an employee turnover is a normal common process that happens in all companies. Especially in the last few years when the unemployment rates are lower than ever and candidates are in demand. However, this is only partially correct. Work Institute estimated that 42 million, or one in four, employees will leave their jobs in 2018. Work Institute has also found that nearly 77 percent, or three-fourths, of that turnover, could be prevented by employers. Their 2018 Retention Report revealed the 50 most important reasons employees decided to leave their jobs and grouped them into 10 categories, seven of which are considered more preventable by employers. You might think that it is only common sense that your employees leave because they have been offered a larger salary by some of your competitors. A salary that big that you can’t compete with it. However, your assumption is probably wrong, according to Work Institute. Compensation and Benefits – Pay was cited more often than benefits. (9%). So there you have it. Now you know the truth. Are you ready to calculate your own employee turnover rate for 2018? Digital experiences outside of work have made life simpler, easier and more convenient. Today’s top talent is demanding the same at work, and global research of 500 human resources executives across 20 industries reveals that providing excellent employee experiences, enabled by technology, are becoming the new way to win the never-ending war for talent. Insights into this digital transformation of the employee experience were released by ServiceNow in “The New CHRO Agenda: Employee Experience Drives Business Value.” “The New CHRO Agenda” report details the Chief Human Resource Officer (CHRO’s) journey to greater impact; how the employee experience is evolving to impact business results and the impact of an HR function’s capabilities on retaining and attracting the best talent. Over the last three years, CHROs have seen their responsibilities move beyond the core responsibilities of delivering HR services, record keeping and attracting top talent, to a broader role in leading key strategy discussions around advancing corporate goals, driving digital initiatives, and contributing to business performance. Nearly two-thirds (64%) of CHROs say it’s their responsibility to drive corporate performance. CHROs expect their success to be defined by the consumer-like employee experience. In fact, more than half of CHROs (56%) say the ability to create a digital, consumerized employee experience will define their roles in three years, compared with just 6% who say traditional HR will define their role. 66% of CHROs say the employee experience will drive quantifiable productivity gains across the business. 44% of CHROs expect to be judged on their digitization success achieved not alone but by partnering with other C-level executives to set and manage strategy. From how employees access services and information to how global teams collaborate, business as usual is being redefined for the digital era by a new breed of CHRO. Three out of five CHROs say HR is now a driver of digital transformation, a top strategic priority for most enterprises. 77%, or more than three in in four, of CHROs say they expect to see improved employee experiences from digital transformation in the next three years. 83% of CHROs say the employee experience is important to the organization’s success. 68% of CHROs say that their HR technology allows them to improve employee experience. For employees, the workplace will become more personalized, predictive, and seamless. Their needs will be met through consumer-like digital interactions, such as push notifications for administrative work updates, recommendations for services based on recent actions, and instant answers to questions through chatbots that receive data from multiple departments. 70% say the use of technology to foster a sense of community and healthy corporate culture is a goal. In the next three years, almost half (48%) of CHROs will use an HR platform – not applications – that systematizes automation of HR process and collaboration, up from just 14% today. A significant percentage of CHROs are budgeting for technologies (82% on cloud, 69% on social/collaboration, 65% on mobile, and 47% on function-specific applications) that will help them deliver superior experiences. CHROs who are using technology to improve employee experience are winning the war for talent. The survey divides CHROs into a three-tiered model mapping CHRO-led digital transformation of HR functions, and the business overall. HR leaders taking advantage of more strategic investments fall into the top tier, Level 3. 97% of Level 3s are much more successful in recruiting talent, vs. 80% of Level 2s and 53% of Level 1s. 79% of Level 3s are much more successful at retaining talent, vs. 63% of Level 2s and 14% of Level 1s. 84% of Level 3s report lower turnover than their peers, vs. 77% of Level 2s and 52% of Level 1s. 63% of Level 3s successfully reskill their existing employees, vs. 58% of Level 2s and 41% of Level 1s. Healthcare CHROs trend ahead of the pack in prioritizing superb HR experiences and building positive relationships. 68% of healthcare CHROs say they are successful or highly successful in using technology to make it easier for employees to do their jobs, vs. 55% for non-healthcare industries. Nearly three-fourths (72%) of healthcare CHROs said they are more likely to be successful at delivering HR experiences that match the technology that employees use in their personal lives, vs. 58% in other industries. Financial services CHROs are more focused on creating an experience that meets individual needs rather than a sense of community and collaboration – and they’re lagging their industry peers in building a workforce that meets business objectives. 54% of financial services CHROs say the use of technology to foster a sense of community and corporate culture is a core goal, vs. 72% in other industries. 52% of financial services CHROs are less likely to agree that a platform that streamlines cross-functional collaboration would drive productivity and improve the employee experience, vs. 70% in other industries. Only 28% of financial services CHROs say they have built a workforce to meet future business objectives, compared with 42% in other industries. Have you ever dreamed of being able to manage ongoing candidate searches alongside your clients and sales pipeline? Ever wish your sales and recruiting efforts were always on the same page? That’s the value of a unified Recruiting Opportunity Management and Applicant Tracking Solution and this is what Crelate Talent has been building for the past several months. Recruiting is very difficult and can be quite stormy. It’s ideal if you can gain access to a technology solution that helps calms the waters and helps you be more productive. Technology shouldn’t get in the way of you doing what you do best: connect with others and build relationships. Crelate Talent has been building an applicant tracking/talent management system since 2012. During this time as we have developed software solution for recruiters and talked to hundreds and hundreds of ATS users. One request we’ve heard over and over is: Can we get an applicant tracking system (ATS) and a customer relationship management (CRM) solution in one system? The hassle of working with multiple systems can be time consuming, require doing tasks twice, and pose the risk that the systems won’t play nice with each other. There is a better way. One of our key principles is that recruiters should “Spend Time Recruiting Not Entering Data”. Therefore, having an all-in-one solution for ATS + CRM has always been on our road map. Further, we were founded on the notion that recruiting is about ‘Creating Relationships’. We see recruiting as the process of aligning the right talent to the right opportunity at the right time. Recruiters are constantly meeting new candidates and meeting potential clients and, therefore, need a way to track these vital connections. Technology can edify this process and lead to helping good recruiters be great. Just like you need to connect with candidates recruiters also need to build long-term relationships with customers and clients. And wouldn’t it be awesome to have both of these processes in one system? We are excited to bring our Recruiting CRM/Opportunity Management solution to your business. Crelate is excited to announce that coming in the fall our recruiting solution will be updated to include a full-featured Opportunity Management system that will live along-side our ATS system. CRM solutions are talked about often in recruiting. The reason we’ve chosen to name ours “Opportunity Management” is we see it as a way to manage your sales pipelines and potential clients in a similar way to how you manage your candidate pipelines. Our opportunity management system allows recruiting agencies ways to better engage customers, mange their sales process, and forecast potential revenue. Pairing this functionality with a fast, modern ATS is a powerful combination. What’s more, we’ve built our Recruiting CRM solution to function in a similar way to our ATS–meaning keeping the same ‘drag and drop’ style that is user-friendly and is easy for your team members to learn. Better Engage Clients – We live in a fast-paced world where we are constantly making connections and meeting new people. As recruiters meet potential clients they must be able to capture the important information and get those folks in their database. Once they are in the system, and the relationship continues to blossom, it’s critical that recruiters be able to quickly recall personal information. Manage the Sales Process – Every agency has their unique sales process workflows and so it’s critical to have a CRM that fits exactly what you do. Your opportunity management solution should be fully customizable and work how you do. Forecast Potential Revenue – Every business clamors for more data and information on how their business is doing and where it’s going in the future. If you can have a system that can provide you with a quick snapshot of the business in real-time that is a difference-maker. This also allows you to see where you need to focus your efforts and the potential value (ROI) of opportunities in your funnel. If having an integrated ATS + Opportunity Management sounds intriguing contact our Customer Success Team today for more information on our Opportunity Management Solution. Why you should attend the Employee Engagement conference! In a world where competitiveness is multiplying, the human factor is now the main differentiating factor. The performance of employees cannot be separated from the company’s. Otherwise, different factors could turn employees into sources of loss if they are not as involved and especially engaged in their work. Germany, UK, the Netherlands, Spain, Belgium and France scored below the world average in terms of the rate of employees being engaged and satisfied with their working environment. Employee disengagement is not limited to a particular industry but affects all businesses. Some companies place more emphasis on employee engagement because they successfully established the link between commitment and performance. This is why they have put in place mechanisms to measure the degree of commitment of employees and try to establish programs enabling the optimization of well-being at work, through various actions targeting motivation, the quality of the working environment, managerial leadership and others, in order to build a culture of sustainable engagement. There are no sectors that are eradicated or less affected by this scourge. As long as companies work in an environment that is changing constantly, there will always be sources and factors optimizing disengagement. As a result, it will always be necessary to increase the level of vigilance in order to limit the risks of disengagement. How can we put the company’s culture at the service of employee engagement? How to create a sense of belonging among the employees? How to use predictive analytics to improve employee engagement? How to maintain employee engagement after a M&A or a strategic transformation? Consequently, executives involved in HR, Talent Management, Engagement and Retention, Internal Communication and so on should definitely not miss out on this opportunity to attend the marcus evans‘ Employee Engagement conference taking place on the 27th-29th of September in Amsterdam, Netherlands. Kuala Lumpur, July 20, 2017 — Establishing effective compensation and benefits packages in a competitive environment remains as a challenge for most of the organizations today. With the impact of economy crisis, globalization, increasing governmental regulations, rapid technological advances, it is the nightmare for all HR personnel to design and administer effective and cost-efficient compensation and benefit plans. HR, C&B, Rewards Professionals across organizations are struggling to come out with a remuneration package with flexible benefits that suit all employees and at the same time align with business goals. If this is not handled well, the organization will lose its market competitiveness and face talent attrition. With thorough understanding of what all HR personnel are facing and looking at moving forward, the 5th Compensation & Benefits Summit 2017 have come out with this one-of-its kind summit to address the MOST DIFFICULT & COMPLICATED issues in managing employee compensation and benefits packages. Our expert speakers will share successful case studies on designing and implementing compensation & benefits plans and processes that allow you to manage costs, improve performance, attract, motivate and retain employees. 4 Exclusive Workshops ALSO available in the 4-Day Summit programme. Equip Global is the trusted global provider of business intelligence through conferences and trainings to the world’s leading businesses, governments and institutions. Our scale, scope, knowledge and reach allow us to put together conferences and trainings which address our clients’ problems that no one else can. Using our deep functional and industry expertise, strong connections across industries as well as breadth of geographical reach, our conferences and trainings constantly help our clients transform into sharper, smarter and more efficient enterprises. Each time we develop a conference or training for our clients, we put ourselves in their shoes with their objectives in mind and invest significant amount of time and effort researching, unlocking and understanding their real challenges. We strive to provide only tailored solutions that help our clients achieve true results with minimal effort. We do not believe in conferences and trainings that provide standard industry answers or theoretical knowledge. Inviting only leading practitioners and domain experts who can offer information that help solve our clients’ challenges , our conferences and trainings focus on providing only solutions that have met the concrete test of application and have proven to improve an organization’s productivity and performance. We know that custom solutions yield the greatest competitive advantage and value for our clients and always ensure that we are only providing our clients with information and connections that matter. In a nutshell, Equip global conferences and trainings drive tangible bottom-line results whilst equipping our clients with the business connections that help you achieve long term success. We provide only what our clients need and want. ** EXCLUSIVE DISCOUNTS are available for Subscribers of The HR Tech Weekly. Email to enquiry@equip-global.com to find out more! This is no more a secret that engaged employees are more likely to perform better and improve organizational success. And as the companies move more towards agile organizational models, there will be more increase in the employee engagement rates. Employee Engagement refers to an employee’s job satisfaction, loyalty, and inclination to spend discretionary effort toward organizational goals. Companies measure engagement through an annual employee survey or by a continuous feedback culture. The important characteristic to remember when thinking about employee engagement is that, it is a real-time assessment of how employees are feeling about their organization and their work. But this is not the only important one. We need to care about culture as well, for understanding what is happening within our organization. And engagement is a critical output of a strong culture. For organizational culture, the definition centers on the concepts of values and assumptions which contribute to the development of norms, behaviors, and other cultural activities. Because employee engagement and organization’ culture both involve an individual’s relationship with their workplace, it is necessary to bring them always together. But why the organizational culture is important here? Check out the below INFOGRAPHICS on Organization Culture from Multigence. They are providing an efficient and scalable technology based solution that measures, evaluates and matches your organization culture with individual profiles of employees and candidates. According to Multigence, organization must focus on fitting individuals into the corporate culture. Culture isn’t for your employees. It starts the moment a candidate first comes across your brand. And this immediate activate the drivers for your organization growth and success like below. The culture of the organization is shaped by each single individual. Successful talent decisions will be driven by cultural fit. According to Bersin by Deloitte, organizational culture, engagement, and employee brand proposition remain top priorities in 2017; employee experience ranks as a major trend again in 2017. “Employee engagement has become the top issue on the minds of business leaders, directing us to an entirely new model of management”. And companies need a new approach—one that builds on the foundation of culture and engagement to focus on the employee experience holistically, considering all the contributors to worker satisfaction, engagement, wellness, and alignment. And according to them, the below figure shows the factors that contribute to positive employee experience. So it pretty clear that today organizations must focus on the employee engagement to have the right employee experience on the foundation of culture. Back in 2015, Graham Massay, the Business Head of The House, came up with an interesting article Culture First Engagement Second. Where he mentioned the risk is that engagement becomes a once-a-year, box-ticking exercise, designed to prove that everything’s OK rather than actually making sure that everything’s OK. By contrast, a strong values-led culture keeps your organization healthy and your employees inspired. Focusing on culture rather than employee engagement doesn’t mean giving up on measurement. Culture is an outcome. And the business cannot afford to focus solely on engagement at the expense of culture. So the next question comes to our mind. Why organizations should focus on employee engagement based on culture first approach? Multigence has tried to bring the benefits of employee engagement driven by culture or based on a foundation of culture, with the below INFOGRAPHICS. If one can commit to managing these aspects of your employee experience along with employee engagement and culture, then they can be surely a few steps ahead of their peers. The important thing is to consistently care about the employee experience and culture. The role of technology makes a great impact here and one should plan accordingly. In beginning of this year there is also came up an article Culture First. Digitalization Second. (In German), by the writer Daniel Fuerg, an entrepreneur and according to him. So it’s clear that before we should plan and start considering about engagement, experiences, we must also consider culture the individual culture and off course the organization culture. So it’s make sense to focus on “Culture First” approach over company first or even county first. Soumyasanto Sen — Professional Advisor, Consultant, Investor in HR Technologies having 12+ years of experiences focusing on Strategies, People Analytics, Cloud, UX, Security, Processes, Integration and Entrepreneurship in Workforce Transformation. 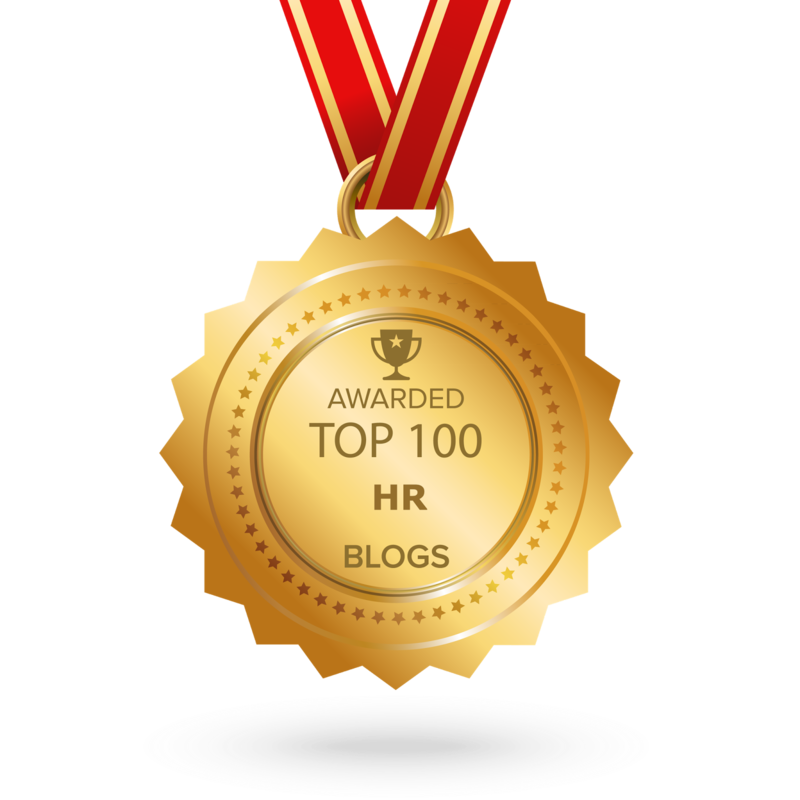 Blogger, Speaker and Evangelist in HR Technologies. Founder of HRTech Conscience. If you want to share this article the reference to Soumyasanto Sen and The HR Tech Weekly® is obligatory. Technology continues to drive and disrupt today’s talent management strategies. As we move closer to the halfway point of 2017, we take a look at 5 key HR tech trends shaping your business. The widely publicised global data breach that affected the NHS last month highlights the very real risks to all businesses. After the talent shortage, PWC notes that cybersecurity is the second highest ranked concern for CEOs, with three quarters (76%) citing this it as a significant challenge in its annual CEO Survey. A UK government report also found that half of all businesses have experienced at least one data breach or cybersecurity attack in the past year, rising to two thirds of medium and large businesses. Your ability to secure your data is an increasing issue and the pressure is on HR to source talent with vital cybersecurity skills. A report from Experis found that demand for cybersecurity professionals is at an all time high, echoing an earlier survey from Robert Half, Technology and Recruitment : The Landscape For 2017 which found that sourcing tech talent with cybersecurity skills was a priority for over half of all hiring managers this year. Predictions of a jobless world have thrown the debate over AI sharply into focus but AI and automation offer a number of benefits for hiring teams. Writing in the Harvard Business Review, Satya Ramaswamy describes ‘machine to machine’ transactions as the ‘low hanging fruit’ of AI rather than ‘people displacement’. Elsewhere, Gartner predicts that by 2022 smart machines and robots could replace highly trained professionals in sectors including tech, medicine, law and financial services, transforming them into ‘high margin’ industries resembling utilities. But it stresses the benefit that AI brings in replacing repetitive, mundane tasks and offering more meaningful work. The key is to create the right blend of AI and human skills, which HR is ideally positioned for. Gartner suggests that a further benefit of AI is the alleviation of skills shortages in talent starved sectors. A beneficial and immediate use of AI for HR is the automation of mundane and repetitive tasks in the recruitment cycle through HR technology, allow hiring teams to focus on creating the effective candidate and employee experience that their business urgently needs. Today chatbots are emerging as an essential tech tool for high volume recruitment, engaging with candidates via messaging apps with the aim of creating a more interactive and engaging hiring process. The AA was one of the first brands to feature this smart technology and this year it is predicted that chatbot Stanley will interview 2.5 million candidates. As the skills shortage continues, the chatbot offers a more direct and effective way of engaging with sought after millennials or graduate talent. Chatbots are also predicted to make HR’s life easier through simple interactions via mobile devices for both candidates and employees. While still in the exploration stage, dark data can offer vital insights into talent sourcing. Up to 80% of the data created is ‘unstructured’ or ‘dark’ data found in, for example, e-mails, text messages, spreadsheets and pds. At present it is not usable in analytics but AI can be leveraged to organise it into a more usable form. Last month it emerged that Apple have acquired a machine learning based company to strengthen its own capabilities in the area of dark data. Deloitte’s Global Talent Trends report for 2017 reports that only 9% of businesses have a good understanding of the talent dimensions that drive performance. Dark data may help to illuminate those dimensions. It’s not a new or emerging HR tech trend but the transition to predictive analytics is one that HR must eventually (reluctantly?) make as the skills gap in the UK widens and the availability of qualified and digitally able candidates continues to fall. Applying people analytics improves hiring outcomes, reduces the level of early departures from your business and enables HR to begin to predict and plan for future hiring needs. The first step towards predictive analytics is for tech-averse hiring teams to relinquish manual recruitment systems in favour of HR technology and begin to understand the key metrics affecting your hiring process. Advorto’s recruitment software provides workflow and structure across the entire hiring process, offering a dynamic database of candidates and analytics. Used by some of the world’s leading organisations, it provides a straightforward first step into AI, HR analytics and big data. Start your 30 day free trial today. If you want to share this article the reference to Kate Smedley and The HR Tech Weekly® is obligatory. Written by Karen McCandless, GetApp. Once upon a time, the HR market was dominated by a few big name players. The likes of ADP, Oracle, or SAP were the main choices available to businesses, large and small. This has all changed, with cloud HR solutions becoming mainstream, and a raft of new entrants shaking up the status quo. To find out more about exactly what criteria small to medium businesses in different countries are using to select their HR solutions, we turned to data from GetApp users to find out which were the most popular apps. We found that businesses of 1-50 employees favor cloud-based HR software from startups like themselves, that are new to the market but that promise innovation, and simple pricing plans – often with freemium option. There is some continuity with businesses of 51-500 employees, with these size of businesses still choosing smaller HR outfits, but ones that have more of a presence in the market, such as Jobvite and Greenhouse. As businesses grow, it makes sense that they would favor companies that cater towards that end of the market, and that is exactly what we saw with GetApp users of 501-1000 employees. Another interesting trend was this was the first learning management systems featured among the most used apps. In terms of country HR software usage, British and Canadian users favored apps either based in their own country, or that had a strong presence there. With this in mind, we at GetApp – a startup ourselves with an agile, cloud-based HR system – wanted to find out just whether this would hold true for for our users – whether small businesses in different countries are really choosing these new entrants to the market over the big-name brands. The approach we took to this was two-pronged: we looked at apps used by different business sizes – varying from solopreneurs to companies of up to 1000 employees – and also at software used in different countries (the U.S., UK, and Canada) to see what insights we could glean. We grouped together HR apps of all flavors – from talent management, to scheduling, to performance management, and more – to analyze the approach that companies are currently taking towards managing their human resources. Outside of the U.S., companies favor local HR solutions. When splitting HR app usage according to business size, what became apparent was that there is no clear market leader for companies of up-to 1,000 employees. Each size of business had its own preferences, with no runaway leader in any category. This differs from other industries such as accounting, where a few big-name vendors dominate. There is also no mention of the legacy HR heavyweights that were initially built on premise, such as Oracle, ADP, SuccessFactors (now part of SAP) – or newer cloud-based market leaders such as Workday. Halogen TalentSpace is the only HR app popular among GetApp users to feature in analyst firm Gartner’s Magic Quadrants for HCM or Talent Management, which are focused on the enterprise market. Businesses across the board (up to 1,000 employees) are favoring newer, native cloud software for the HR market. Where we can see a trend start to emerge is in the type of HR apps used by businesses of less than 50 employees, compared to companies of 51-500, and then again with organizations of 501-1000 employees. We’ll dive into these trends in more depth now. When looking at the apps used by businesses of 1-10 employees and 11-50 employees, the most used HR software is consistent, with Zoho Recruit, Breezy HR (formerly Nimble HR), Workable, and Crelate Talent all featuring in the top five for both company sizes. Delving more deeply to find out why this may be, we noticed that all these HR apps all recent entrants to the market. Breezy HR was founded in 2014, Workable in 2012, Crelate Talent in 2012, and while Zoho as a company was founded in 1996, Zoho Recruit was a more recent addition in November 2009. All of these apps are natively built for the cloud, cater to small businesses, and market themselves as relatively straightforward and simple software. Another similarity with the most popular HR software for businesses of 1-10 and 11-50 is pricing. Several solutions offer a free option with limited features, making them useful for startups and small businesses with budget constraints. In terms of Zoho Recruit pricing, it currently (as of April 2017) offers a free plan for one recruiter with basic ATS functionality, such as scheduling interviews. Even for the most expensive price plan, it’s only $50 per recruiter per month. Zoho can also be seen as a safe pair of hands, with its long company history and large suite of products. Breezy HR keeps its pricing plans simple, with all of them including unlimited users and candidates. The plans differ according to the number of active jobs. As of April 2017, for one active job, the HR app is free. While Crelate Talent doesn’t offer free options, its pricing is affordable for small businesses. Hiring platform Recruitee – one of the most used apps by businesses of 11-50 employees- doesn’t offer a free version, but has competitive pricing options covering the varying needs of different company sizes. It’s still a very new company – set up in mid 2015 – but has already been garnering a lot of positive coverage in publications such as Entreprenuer and Inc. Workable doesn’t cater solely for this end of the market, but its simple tools, mobile-first approach, and raft of integrations make it an attractive choice for small businesses. Zenefits is the only piece of software on the list (third most popular HR app by businesses of 1-10 employees) that isn’t strictly targeted at simplifying recruiting or talent management. While it originally focused on benefits management, it has since expanded to cover onboarding and employee scheduling. Despite experiencing several scandals and setbacks in 2016, Zenefits emerged as the most well-funded HR tech company in 2016. Key takeaway: Businesses with less than 50 employees broadly go for the same kind of HR apps that are cloud-based, have affordable pricing plans (often with a free version), and are relatively new to the market. As the business size grows, the trend swings towards HR software that, while more established than the above startups, is still making waves in the industry due to its innovation and high-profile customers. The most popular HR software for this company size also caters for a wider range of business sizes than the favored apps for businesses of 50 and under. Jobvite and Greenhouse are two applicant tracking and recruitment apps that are popular with companies of between 51 and 1000 employees. While Greenhouse is a relatively new entrant to the market (founded in 2012), thanks to a raft of positive media coverage and some high profile customers (Airbnb, Evernote, and Pinterest), it has already made a name for itself in the recruitment industry. Part of Greenhouse’s strategy is based around having an open platform that easily integrates with any other tool you might use for recruitment. Analytics-driven recruiting platform Jobvite has been around longer (since 2006), and is aimed at both small businesses and enterprises. The app also boasts an impressive client roster, including LinkedIn, Spotify, Etsy, and Verifone. 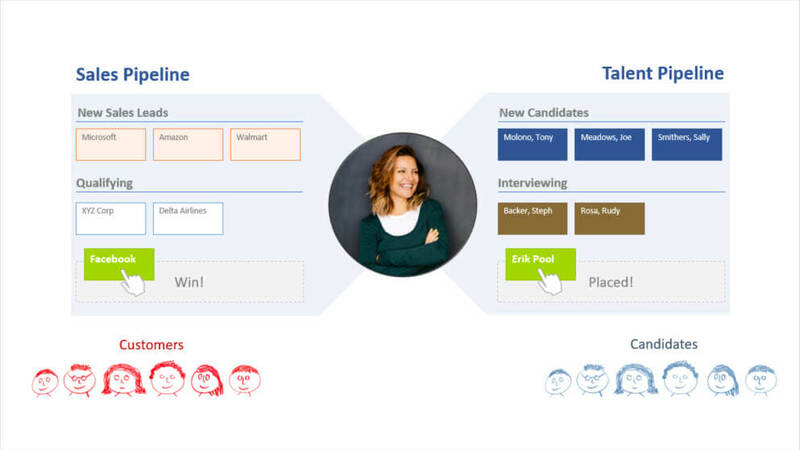 Jobvite’s product offering aims to cover everything from sourcing to hiring to onboarding. The company continues to innovate by partnering and adding new features, such as integrating with Accurate Background services to allow companies to carry out employment background checks, drug testing and verification services from within Jobvite. Workable is the one constant across businesses all the way up to 500 employees, as it is another app that caters for a wide range of business sizes. One trend that we see solely with businesses between 51 and 200 employees is a higher adoption of all-in-one HR suites, with BambooHR and Namely both ranking in the top five. This contrasts with the higher adoption of recruitment and talent management suites among smaller businesses, and a focus on learning management systems in businesses of more than 500 employees (more on that later). Key takeaway: Businesses of 51-500 look for software that caters for a wide range of business sizes, and that may already have well-known clients. They also put more emphasis on all-in-one HR systems. The trend we see as company size increases is to go for software from more established companies that have been on the market for longer. One example of this is Bullhorn, which is favored by companies of 500 employees and over. Bullhorn originally made a CRM for staffing and recruiting firms, before moving into applicant tracking systems. 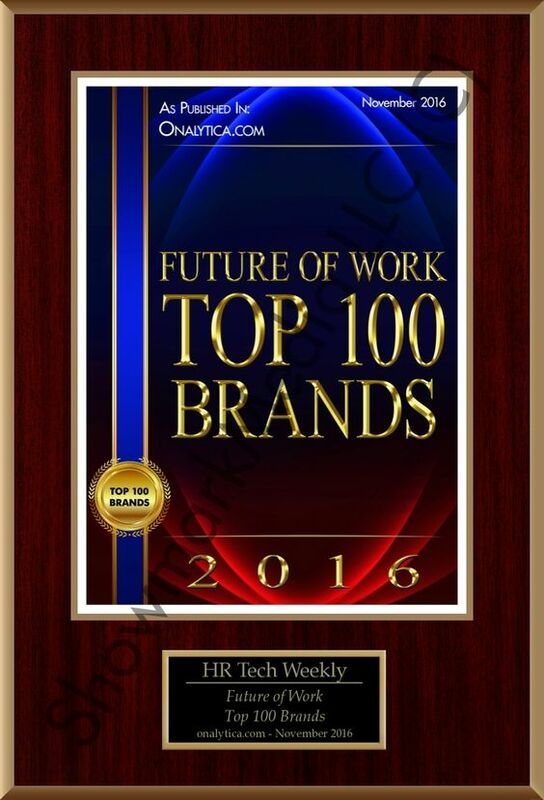 Further evidence of this is Halogen TalentSpace, which is the fourth most popular app among companies of 201-500 employees. This software, which came to market in 1996, is regularly named as a visionary in Gartner’s Magic Quadrant for talent management. Testament to its success, it was acquired by Saba in early 2017. Another data-driven recruitment app that is popular with larger businesses is JazzHR (fourth most popular among businesses of 501-1000 employees). Formerly known as The Resumator, it positions itself as a scalable recruitment system, suitable for small businesses but also applicable for growing companies. Learning management system software makes its first appearance in the most used apps among companies of 501-1000. Mindflash and Accord LMS’s appearance on the list at this points suggests that smaller businesses may be slower in their adoption of LMS. Key takeaway: Businesses of 501 employees and up tend to favor more well-known and established HR software, and they also start recognizing the importance of learning management systems. Using data from the U.S., UK, and Canada across all businesses from 1-1000 employees, we found that Breezy HR and Zoho Recruit were particularly popular among GetApp users in all three of these countries. Zoho Recruit was a favorite in both the U.S. and U.K. (even placing just out of the top three in Canada), while Breezy HR was popular among users from both the U.S. and Canada. Given the wide range of choices for apps headquartered in the U.S., it was interesting to see India-based Zoho Recruit there in addition to U.S.-based Breezy HR and Crelate Talent. Looking at the choices for Canada, Toronto-based hiring solution Fitzii is popular among businesses in this country, suggesting that there is a preference for local software providers in the HR market, or at least those that have a strong presence there. Further confirming this, Bullhorn is the second most popular HR software in Canada. While it may not be based in Canada, it has a strong presence in the country, through its partnership with Workopolis, which is Canada’s leading career website. It also already provides applicant tracking functionality to many leading firms based there, and has an office in Vancouver. In the UK, aside from Zoho Recruit, Workable and Calamari leave management software are the most popular HR software in the country. While neither of these companies are British, both were founded in Europe and have a strong presence in London. Workable was founded in Athens, but opened an office in London shortly after, before expanding to New York, Boston, and now San Francisco. However, a plethora of British-based HR software companies such as CakeHR, CIPHR, WeThrive, PARIM, and Findmyshift just missed the top three position, further highlighting the preference for local companies in the market. Key takeaway: In markets outside of the U.S., countries are showing a strong preference for local software to help manage recruiting and HR needs. Our findings from analyzing data from GetApp users indicated that the original hypothesis was true: that small to medium businesses in the HR space are opting for new entrants to the market over the more-established brand names, and that they are choosing apps built for the cloud. Our data also indicated that these companies prefer HR apps based in their own country, or that have a very strong presence there. If, after reading this report, you’d like to invest in a cloud-based HR app for your business size or from your country, we can help. Here are the next steps. For a full list of the most popular HR software in these categories, or to reuse any of the charts above, please contact karen@getapp.com. To put together this report, we analyzed data from signed in GetApp users that had selected the “I Use This” option for a particular app on the site. We counted the number of individual users that had selected these apps and segmented according to business size and country. The sample size for each segment differed and we used absolute numbers on our graphs to represent the most used. We then looked into the three most used apps per country, and five most used per business size. Dubai, 13 April, 2017 — HR Technology is fast developing. Year-on-year the trends, and market requirements keep developers busy. Driven by natural workplace changes and inspired by vastly different work ethics amongst new working demographics, HR Technology is continuously evolving from its traditional core of payroll, employee record management and recruitment. “People and their expectations of work are changing all over the world and it is happening quickly,” noted Ms. Lorna Daly, Regional Director, EMEA, Halogen Software who is a Gold Sponsor of the 3rd annual HR Tech Summit organized by QnA International. “We know that if people can give and receive feedback on an ongoing basis, they can feel good about what they do, and would be encouraged to bring their best effort forward, so they can give more to their customers, organizations and communities,” continued Ms. Daly. Ongoing performance reviews, frequent and timely feedback is a new HR trend sweeping across many organizations across the globe. The need for almost immediate feedback stems from the multigenerational workforce, and the changing nature of work. “It comes down to something very fundamental; people want to feel a connection and a purpose to their organisation, that their contribution is valued and impactful,” stressed Ms. Daly. To meet this new HR demands, organisations need to employ the new technological trends becoming available in the market place. In addition to traditional services of HR software, and cloud-based services, technological tools built for agility and for specialized purposes such as continuous performance management, frequent feedback, data analysis and learning tools will soon become an absolute must for the continued evolution of an organization. 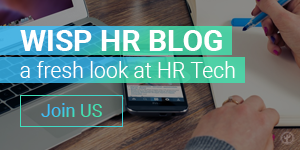 “Keeping up with technology developments affecting HR is becoming a tough task. The managerial processes for human resources across the globe is in a state of fluidity. Especially in the UAE and GCC which will see two new shifts with the onboarding of nationalization and VAT policies in the coming years, the importance of employing and using the appropriate tools for HR functions cannot be stressed more. Knowing the challenging changes ahead, we have planned the 3rd annual HR Tech Summit to provide in-depth discussions and ultimately provide a platform HR and IT Leaders to analyse the HR technology tools available, their uses, and whether or not they should be adapted and when adapted how it will impact the organizations in the region,” commented Sidh N.C., Director, QnA International. Halogen Software will be actively taking part in the by-invite only premier summit which attracted over 150 C-level and senior level HR and IT personnel from government, state, public, and private organizations in 2016. “HR Tech MENA provides a terrific opportunity to connect with some of the world’s most thoughtful HR and business leaders. The partnership has opened the door to connect with very successful companies and has given us the opportunity to learn more about the emerging global trends and priorities in HR,” commented Ms. Daly on the importance of sponsoring, participating, and attending the 3rd annual HR Tech Summit. The Summit will be held from 16-17 May 2017 at The Westin Dubai, Al Habtoor City, Dubai. Technology today has revolutionized every step of our lives and Human Resources is no different. The influence of technology on our evolution is paramount to making it imperative for HR to keep abreast with newest developments. Today, HR is en route to becoming smart HR. Concepts such as Artificial Intelligence, big data, cloud, social workforce, mobility and gamification are key buzzwords and every organization is keen to embrace to help them in tackling the key issues of talent acquisition, talent management, change management, business performance and employee engagement. The HR Tech Summit is the only initiative that brings together HR as well as IT professionals from across the Middle East and leading solution providers on a singular platform discussing the newest trends, ideas and disruptions over a period of two days exclusively dedicated to and focused on HR Technology. Halogen Software offers a cloud-based talent management suite that reinforces and drives higher employee performance across all talent programmes — whether that is performance management, learning and development, succession planning, recruiting and onboarding, or compensation. With over 2,100 customers worldwide, Halogen Software has been recognized as a market leader by major business analysts and has garnered the highest customer satisfaction ratings in the industry. Halogen Software’s powerful, yet simple-to-use solutions, which also include industry-vertical editions, are used by organisations that want to build a world-class workforce that is aligned, inspired and focused on delivering exceptional results. For more information, visit: http://www.halogensoftware.com/ae Subscribe to Halogen Software’s TalentSpace blog: http://www.halogensoftware.com/blog/ or follow Halogen Software on Twitter: http://twitter.com/HalogenSoftware. QnA International creates and delivers business learning and development exchange platforms through B2B conferences, bespoke events and trainings. The company also has an expertise in outsourced sponsorship sales and key account management. What Does the Future Hold for Global Payroll? Written by Jan Van Mol, Head of Global Alliances at SD Worx. Businesses are always looking for new ways to improve and innovate, and the payroll industry is no different. Payroll is arguably the purest form of HR data, providing employers with real-time information that can inform a more intelligence-led approach to business decision-making. Payroll systems that deliver insight as well as a good service for both employers and employees will undoubtedly gain long-term business intuition. Because of this, forward thinking organisations need to embrace a payroll system that can provide an optimum payroll service for employees across all departments and local market. Investing in a global payroll system that encompasses the individual needs of an organisation is the answer, but how can global payroll providers ensure that multinational businesses comply with all in-country legislations? Retaining talent and providing the best service for employees is paramount for business leaders – something that has been fueled largely by the advent of new HR technologies. Studies show that if employees are not being paid correctly and on time, the knock-on effect on retention is significant. Employers that do not harness the benefits of global payroll will consequently fall behind in the competitive race, with business penalties spanning the short and long term. With Generation Z about to enter the workforce, businesses need to look ahead and think seriously about how to cater to the needs and requirements of these digital natives – and that includes playing to their payroll preferences. Generation Z grew up with technology, is comfortable using it, and has come to expect it in the workplace. If businesses can’t cater to these needs, they will struggle to retain the best talent within this workforce bracket. SD Worx expects to see an increasing number of built-in employee engagement functions within global payroll systems over the coming year, which will include functionalities that improve and enhance the employee experience. These functionalities will be tailored to their users – self-service and user-friendly tools for Generation Zs and Millennials, for example. There will also be an increase in measurement and reporting tools that enable close monitoring of workforce experiences in a way that can then be acted upon to boost employee engagement. Forward thinking organisations will begin to integrate payroll with wider reward and recognition benefits to create a single, comprehensive system. With the line between work and home life becoming increasingly blurred amidst the ‘always-on’ culture, businesses need to ensure that they have the right technologies and systems in place to help combat this and deliver positive workforce experiences. Payroll systems that incorporate add-on rewards and wellbeing benefits will therefore become increasingly commonplace in coming years. As mentioned above, modern payroll systems now provide much more than a monthly back office function – with the right solution, they can deliver on-going business critical insight into an organisation. The desire for global business insight is increasing year-on-year, and if managed in an optimal, systemised way, accurate payroll data will increasingly begin to provide the source of this much sought after visibility. When combined with other data sets such as employee performance and talent management, the collective insight this delivers can enable business leaders to act upon information in a reactive way, but also in a predictive context to support future planning. Key examples include being able to better identify employee attrition and absence patterns in order to correctly forecast recruiting needs and save costs. Global payroll providers not only ensure that employers are complying with global legislations, they also guarantee that local requirements are met too. Local legislation frequently changes – like Australia adopting Single Touch Payroll this year, for example – and many large organisations have already been the target of fines due to breaking compliance with local payroll requirements. Every country had different regulations, and it is the job of a global payroll provider to tailor their offering with the needs of each organisation. The future is often uncertain at times, but global payroll with local capabilities can improve forecasting and planning, giving the business a strong and more insight-led direction. It is clear that the growing trend for global payroll with local capabilities will remain a key business requirement as businesses expand internationally and the world becomes ever more globalised. If you want to share this article the reference to Jan Van Mol and The HR Tech Weekly® is obligatory.